I know I might be late to share about this candle on the blog, I had so many requests on more details on this candle since I shared it on my Instagram stories. The good thing is this candle is still available on all major retailers I have mentioned at the end of this post. 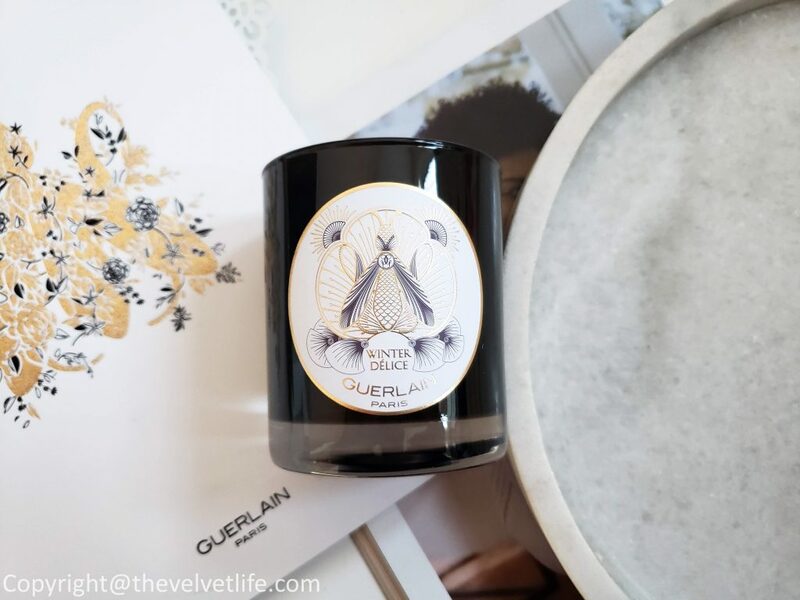 Guerlain brings its expertise in perfume to the art of living with a collection of scented candles that stir the senses and brings unequaled emotion, Guerlain Winter Délice Christmas Candle is one of them. 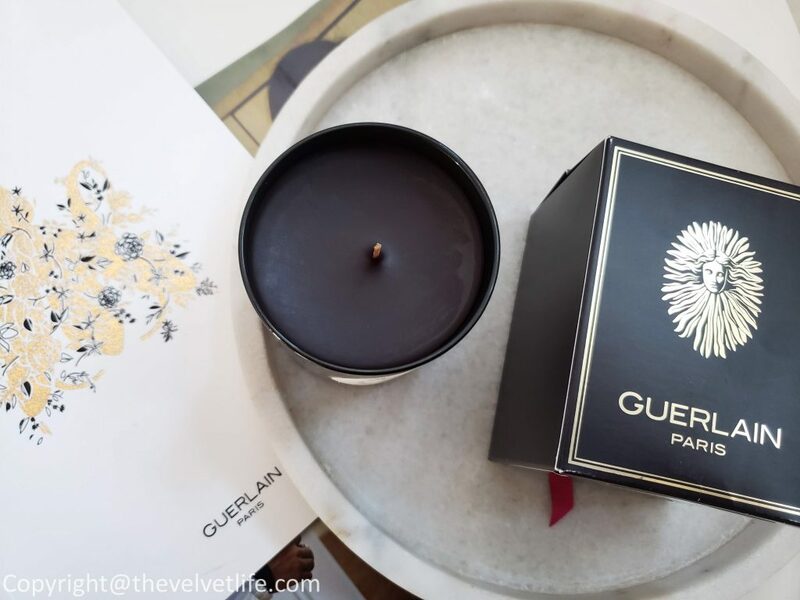 Some tips to use the candle: During the first use, wait until the wax is evenly consumed, all the way to the edges, before extinguishing the candle. The wick must always remain centered. If necessary, trim it to about 0.5 cm, straighten it and center it. It is ideal for perfuming your bedroom or living room. The packaging as you see in the pictures is beautiful, be it the outer package with the ribbon or the candle jar, perfect for gifting a loved one or for yourself. The candle jar has a heavy glass jar, dark in color. The scent to me is woodsy, smells like a fir tree and reminiscent of the holiday season. It is a gorgeous candle that will look good in any room. 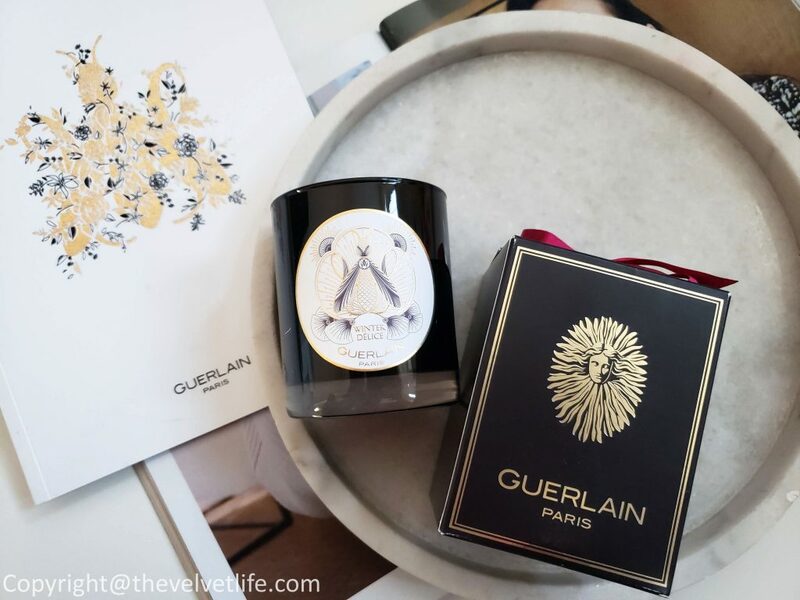 Guerlain Beauty Products and Home Fragrances are available at Guerlain Boutiques, Hudson’s Bay, Shoppers Drug Mart, Saks Fifth Avenue, Sephora, and Holt Renfrew.